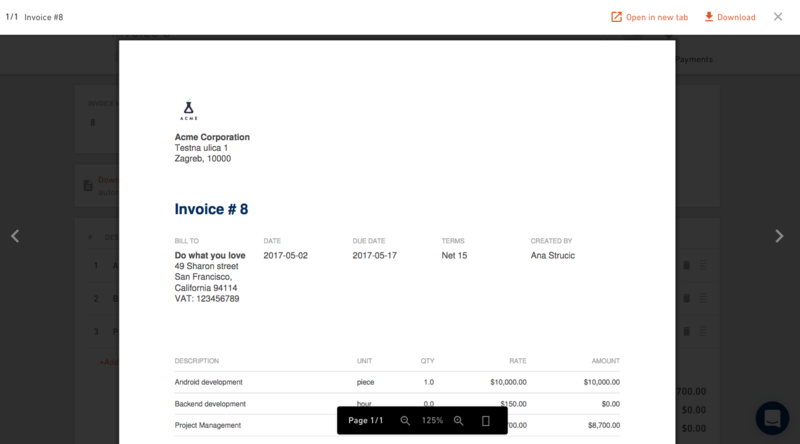 Invoices can be created for each project and its many budgets. Invoicing in Productive is very simple. Once you closed a budget it means that the work you've been doing for a client is done, you're ready to create an invoice and send it to your client. Go to Projects, select a project from the list and click on the Invoices tab. 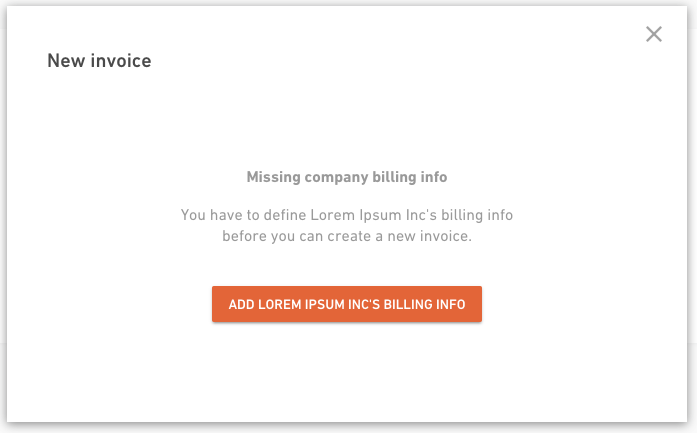 Click on the "+" button to create a new invoice. Productive will ask you to put down client information (address, tax number, payment terms etc.) if you haven’t done that before. 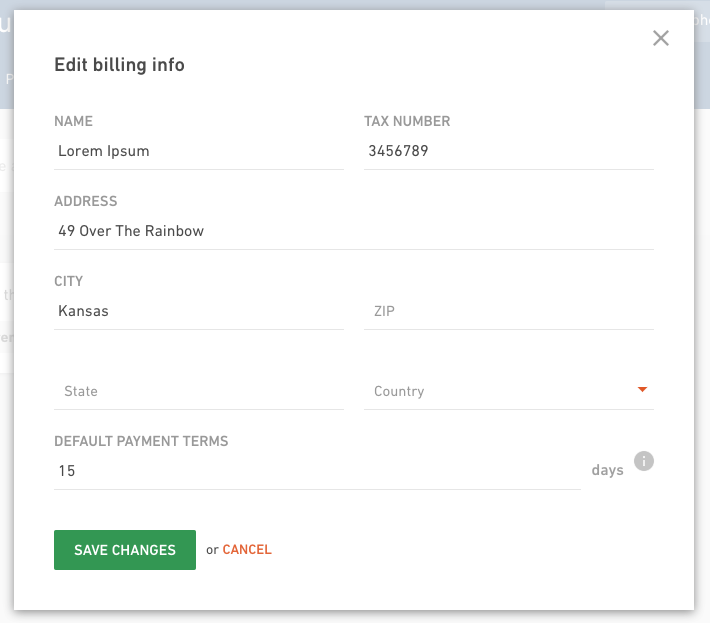 Select a budget you’re creating an invoice for and hit the Create new invoice button. 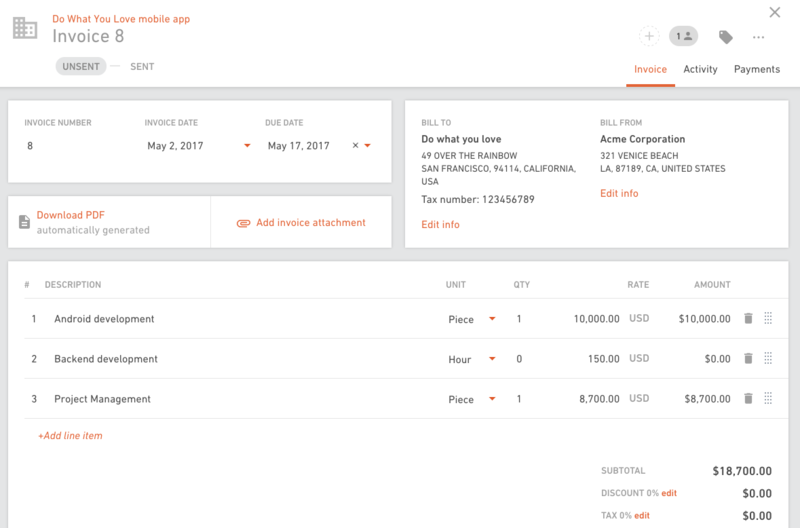 Productive will create invoice with line items based on the services you have defined in the budget. Line items for Fixed Price service will have quantity displayed as 1 and line items for Hourly service will have a total number of hours. 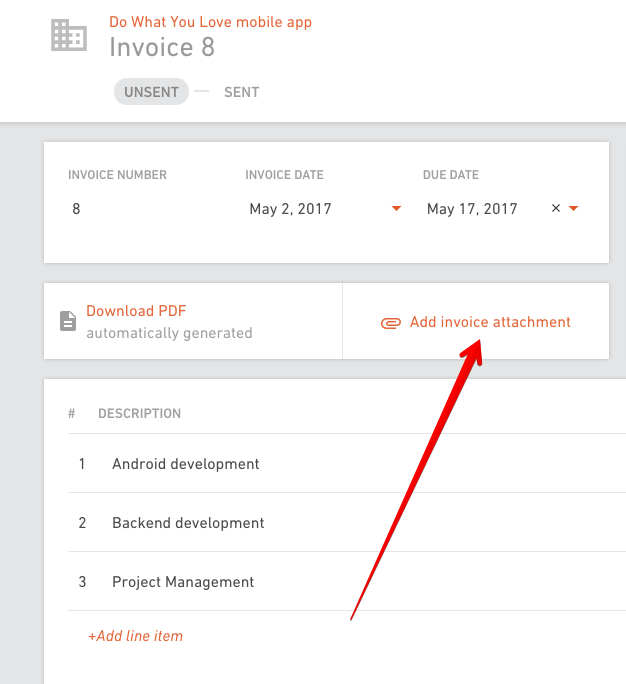 Download invoice in a PDF format and send it to your client. 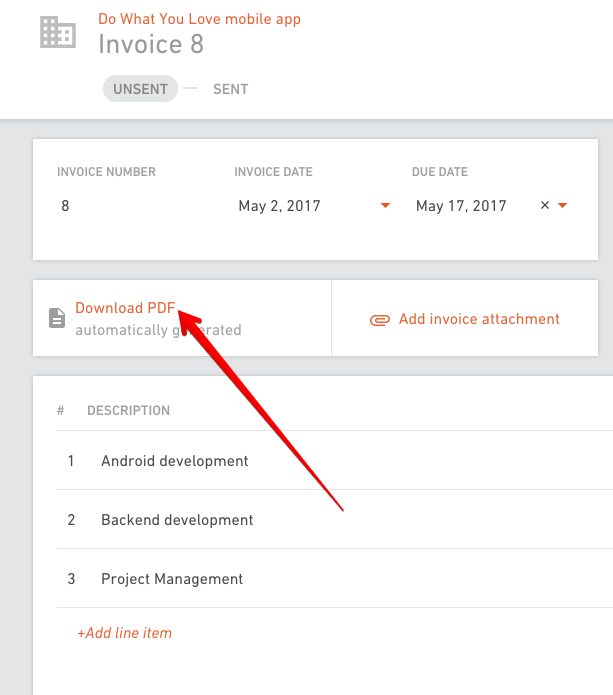 If you’re using some external accounting software, you can upload the PDF you’ve created externally to the invoice in Productive.